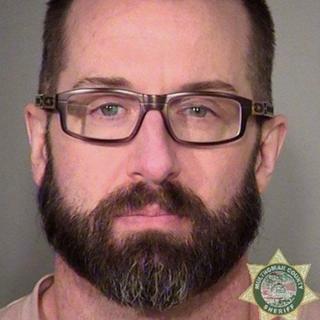 An Oregon mortgage fraudster has had his jail sentence extended by a judge after he made his teenage son shoot him in the legs in a bid to delay prison. Shannon Egeland, 43, lost his limb in the 2014 shooting, which he staged a day before he was due to report for a 10-year custodial term. The shooting came one week after he applied for disability insurance. A prosecutor described Egeland in a sentencing document as a "menace to society". "The psychological and emotional destruction defendant caused this minor child is unimaginable," Scott Bradford wrote in the court memo. If Egeland had died in the stunt "the minor child would have been left to deal with the consequences", the assistant US attorney added. In 2014, Egeland was sentenced to 10 years in prison for his role in an extensive mortgage-fraud scheme, orchestrated through the housing development company where he worked as vice-president, reports KOIN, a TV news channel in Portland, Oregon. Authorities say he raised millions from local banks through a series of bogus business plans and falsified loan applications. A judge allowed him to self-surrender to prison. But Egeland concocted a plot to postpone his jail term and cash in on an insurance fraud, reports the Oregonian newspaper. He had his 17-year-old son shoot him in the lower legs with a 20 gauge shotgun on 31 July 2014. The teenager then left the scene on the side of the road in Caldwell, Idaho, about 30 miles (48km) west of Boise. Egeland called police and said he had been attacked after stopping to help a pregnant driver. He told police he was hit in the head and shot. A week before the shooting he had taken out a disability insurance policy, falsely claiming he had not been arrested in the past decade. The fraud was quickly detected. As a result of the gunshot, Egeland had his left leg amputated. He stood on a prosthetic limb as he addressed the court in the city of Portland on Wednesday. "The injury that I sustained doesn't even bother me," Egeland told the judge during his sentencing hearing. "What bothers me the most is my son. The pain is on him. "If I could take it all back, I would, but I can't. That will haunt me the rest of my life." He received an additional three years and 10 months in jail.